Immanuel has extended a call to Mr. Dan Green to be Educational Administrator of Immanuel's education centers. Dan is in his 27th year of ministry and has been serving as principal at St. Paul’s Lutheran in Chicago Heights since 2009. 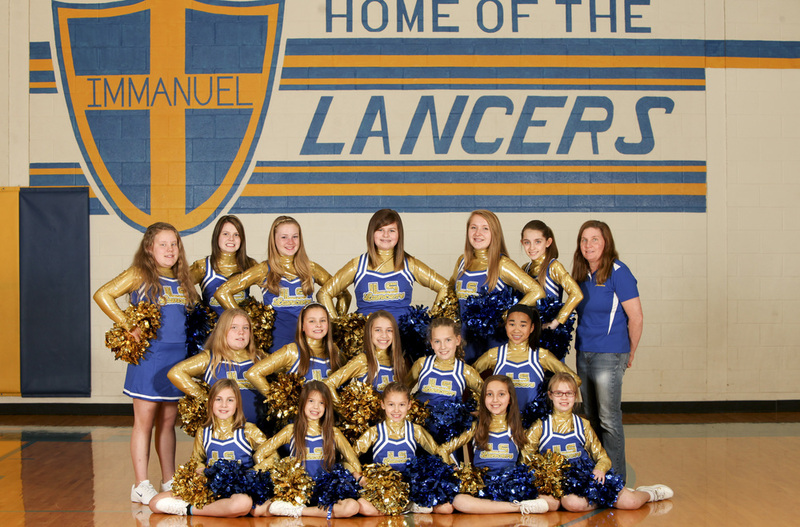 He has previously served schools in Muskegon, MI; Addison, IL; and Lombard, IL. In addition to regular classroom duties he has coached and served as Athletic Director at these schools. Dan is a 1988 graduate of Concordia University-River Forest, IL and has earned a Master of Education degree from the University of Phoenix in 2009. He has also gone through the School Leadership Development (SLeD) program sponsored by the School Department of LCMS. Dan’s wife, Sue, is employed by the Lutheran Church Extension Fund and works out of the Northern Illinois District office. They have two grown sons. Dan writes about himself “The mission of the church is to ‘make disciples of all nations.’ In order to do this, the church must equip its members to carry out this task.” He sees himself as helping to facilitate this disciple-building. Dan has received the training in the Ambassadors of Reconciliation provided by LCMS and is part of the district team to provide reconciliation when called upon in the district. Hey guys...check out the new Men's page for information on Men's Network happenings. 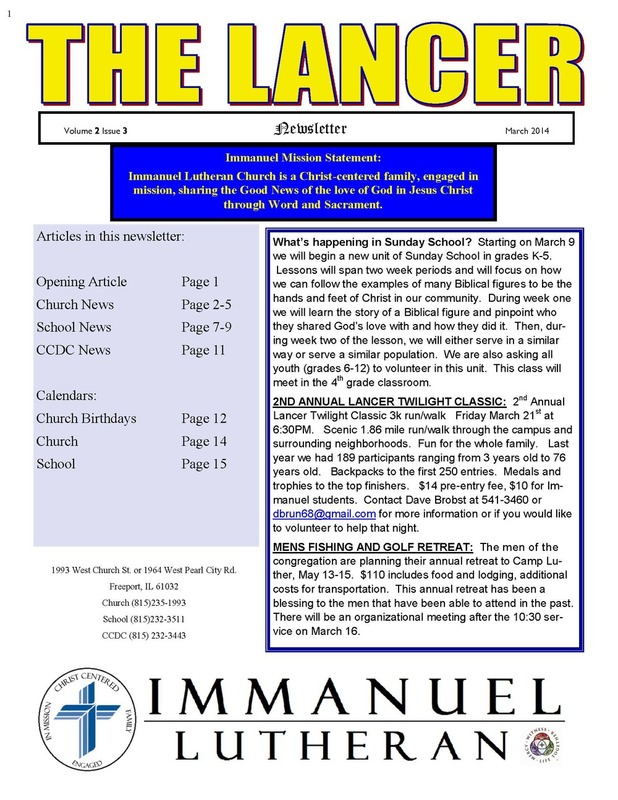 Be sure to download the new mobile app for Immanuel Lutheran. Just go to you app store and search for Immanuel Freeport. Mark your calendars now for the annual Book Fair! Fair will be held Thursday January 30th and Friday January 31st from 330-5 and all day February 1st at Pancake Day. If you can't make it, don't worry, you can shop online at http://bookfairs.scholastic.com/bookfairs/cptoolkit/homepage.do?method=homepage&url=ils2014 and the school will still get credit towards great books for our kids! Online shopping starts January 24 and runs through February 2! Don't miss out on this great event! If you can volunteer by setting up, working the cash register, or tearing down, please contact Megan Vinney at superstah00@aol.com.